That makes total sense, we love it! Oh dear, is it alright if I wear my tiara instead of a crown? 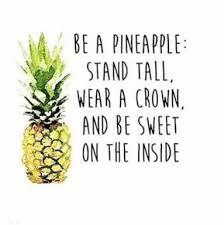 Love it - we never thought of the pineapple wearing a crown but it sure does! 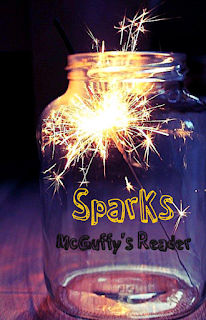 Great Spark. This reminds me of the line from Grease when Frenchy was all yellow including her hair. We hope you had a wonderful weekend. That is a great spark to start the week with. It's always great to be sweet inside. Thanks for the share. Have a great rest of your week. well...I at least have the crown covered......MOL! Well Miss Sharon we think this is a great Spark.